The Milwaukee Mural Map was inspired by Mural Arts Philadelphia, the nation’s largest public art program (http://www.muralarts.org). 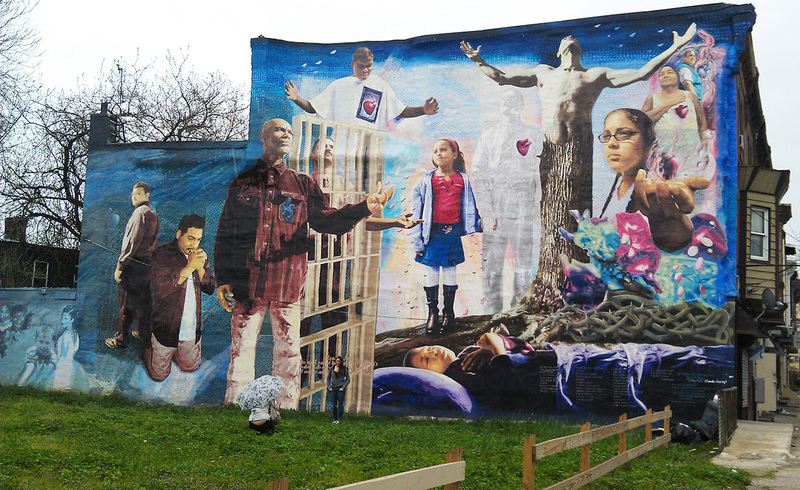 The creator of the Milwaukee Mural Map went on a Mural Arts Philadelphia mural tour in 2013 while she was attending graduate school in New Jersey and fell in love with their approach to uniting communities and peoples with art and stories. She was particularly captivated by their restorative justice initiative. After the tour Caitlin was determined to do something similar with murals in her hometown of Milwaukee, Wisconsin. She knew that Milwaukee had many murals, but information about them was nearly non-existent. No cohesive resource existed; articles about murals were far and few between; and in many cases, the stories were lost to a forgotten history. When information did exist, it was spread across many sources in minuscule bits and pieces. So in June of 2014, after she had moved back to Milwaukee and was working as a community organizer in the city, she decided to start a project to compile as much information about Milwaukee’s murals as possible in the form of an easy-to-use map that included photos and background information. The purpose of having such a map is to shine light upon the talent and passion of Milwaukee’s residents and to showcase the positive side of Milwaukee through its people. By visiting Milwaukee’s murals and by learning the stories behind them, the creator of the Map hopes that visitors will feel a little more connected with Milwaukee’s communities and people and will want to get to know Milwaukee even more. It is also a way to archive Milwaukee’s stories, as too much has already been lost. The Milwaukee Mural Map is not a nonprofit.